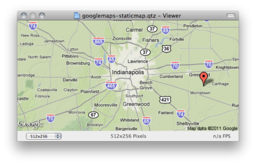 A simple demo of the Google Maps Static Map API. Provide a natural-language language map query, and it'll return an image. Is there a way to load a bigger image and to navigate in it like with the iPhone ?